Boston University COM students are constantly surprising us with their diverse talents. Adam Tang is a junior in COM studying public relations. On February 10th, he competed in the 17th Annual Terrier Dancesport Competition and won the first prize in the adult rhythm category as well as second prizes in adult Latin and adult smooth. 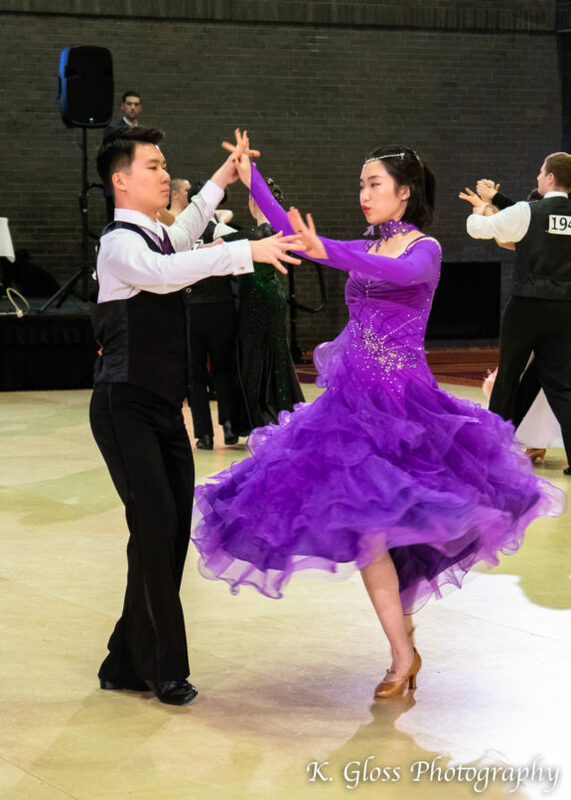 The competition was hosted by BU Ballroom Dance Club in the Metcalf Ballroom and was a huge success in terms of the team’s outstanding performance both on the floor and in logistics. Apart from being an exceptional dancer, Adam is also BUBDC’s PR coordinator. His responsibilities include event planning and digital marketing. By applying what he learns from COM to the real world, he helps lead his team to success on and off the dance floor. The COMmunicator invited Adam to share his thoughts about his role in the competition. Adam Tang shares his stories about ballroom dance. Ruixin Zhu: It was your first time hosting the BUBDC competition as an E-board member. How did you feel about the competition on February 10th? Adam Tang: At first, it was pretty stressful, especially the day before the competition. On Saturday morning, we got up at 4 a.m. On Sunday, we had to set up the floor manually by ourselves. As the event went on, I felt better and I think the event went pretty well overall. We got a lot of good feedback from the team members. We’ve been to some competitions which were really unorganized, and some people missed their events. That did not happen during our event and I’m very proud of that. Lingun Guo: You must have practiced hard for the dancing part as well. AT: I practice with my partner every single week for six to eight hours. It’s a lot of commitment, because once you get to a certain level, you have to put in that much effort. Otherwise, you won’t do well in competitions. When it comes to a partner dance, it’s not just about yourself, but also about the connection [with your partner]. RZ: How did you build such a great connection with your partner Nicole? AT: Nicole and I have been dancing together for a year and a half. We both communicate very well which helped us build a connection. When we disagree with each other, we just talk it out. Drama can happen in ballroom dancing, but good communication can prevent it. Adam and his partner Nicole performing the 17th Annual Terrier Dancesport Competition. LG: I know Junior year is the toughest year in college. How do you balance academic work with dance practice? AT: The time distribution hasn’t been a major issue before, but it is becoming an issue this semester. I already had quit an entire style of ballroom dancing at the beginning of the semester because I knew I was going to be busy. I am doing an internship, PR Lab, and three other courses, which is a lot of work. There’s also a lot of work in E-Board. I had to drop something to balance it all out. RZ: What do you usually do for the E-board as PR coordinator? AT: I usually have the most work during the Fall Showcase and before the BU competition. For the BU competition, I have to design a program that includes all the officials and judges we are inviting, the event schedule, the thank you notes, and all the schools that are coming. I also have to design and print flyers and posters, create social media posts, and pitches to sponsors. I do most of my work for the competition during winter break. LG: What do you think is the best thing about BUBDC? AT: It’s a very inclusive community and we help each other out so much. When I first came in, I was such a scared kid. 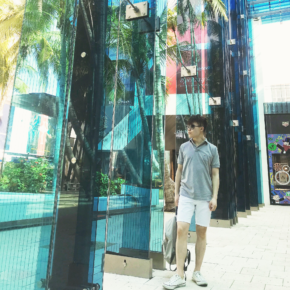 Now, I feel like it’s my second home… It’s such a nice community that makes me feel comfortable. Ruixin Zhu is earning his master’s degree in Emerging Media Studies at COM. He comes from Chengdu, China. Because of his Anthropology background, he enjoys sharing cross-cultural experiences and thoughts through writing. Ruixin spends his free time singing and practicing nine different accents in Chinese, just for fun. 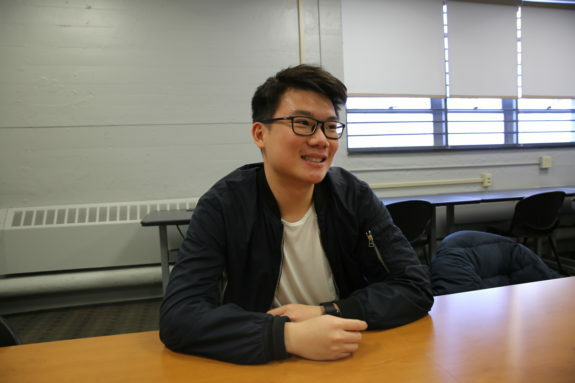 Lingjun Guo is a junior at Boston University majoring in public relations. She is currently an account executive in PR Lab working for the Noodle Lab. 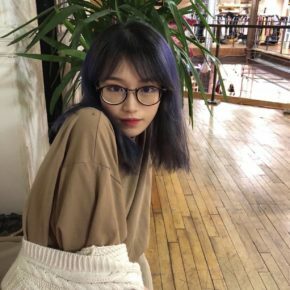 When Lingjun has free time, she enjoys traveling to different countries, trying new restaurants, writing her food blog, and cooking at home. Her favorite restaurant in Boston is O Ya.